Because of Intel's dominant role in the PC processor market, a fatal flaw in the 'Cougar Point' chipset has created a unique opportunity for tablet PCs. Intel discovered a fatal flaw in the "Cougar Point" chipset--interrupting and delaying the launch of the new "Sandy Bridge" processor line. Because of Intel's dominant role in the PC processor market, and the reliance of the PC industry on Intel chips, that glitch has a ripple effect that spreads across the entire industry, creating a unique opportunity for tablet PCs. If one company suffers an engineering setback or design flaw, and that event has a domino effect across an entire industry--affecting companies around the globe--it might be an indication that the industry has too many eggs in that one company's basket. However, Intel's virtual monopoly of the processor market ends at PCs. Tablets remain unaffected. 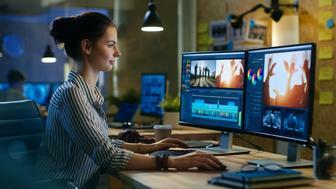 PC makers like HP, Dell, Samsung, and Lenovo are offering customers refunds for faulty Intel systems that have already been sold, and put entire product lines on indefinite hold while Intel addresses the issue. Meanwhile, the tech world is engulfed in tablet fever--where Intel plays a very small part and has little to no impact. Apple continues to sell iPads almost as fast as it can make them, and the iPad 2 is rumored to be impending. The initial impressions of the Motorola Xoom--the first tablet developed around Android 3.0 "Honeycomb"--are very good. Combined with anticipation of the upcoming BlackBerry PlayBook, HP's WebOS-based tablets, and a plethora of other upcoming tablet models announced at CES 2011, the Intel glitch could mean an even better year for tablets than expected. I am not suggesting that companies will simply abandon Intel, or PCs in general and cause some sort of wholesale exodus to tablets. But, timing wise, the Intel issue comes at a point where A) companies have budget allocated for new PCs that are now delayed indefinitely, and B) a variety of compelling tablet options will all be launching. Companies should take advantage of the Intel glitch and resulting PC delays to explore the tablet market. 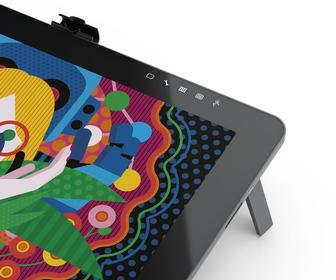 While you wait patiently for Intel and PC vendors to get things back on track, review the various tablet platforms and see what each has to offer. More importantly, take the opportunity to weigh the benefits and drawbacks of tablets as a mobile computing platform. Depending on your business, and the types of tasks commonly performed by workers on the go, tablets may be a viable replacement for notebooks--lower costs, lighter weight, longer battery life. Intel's Sandy Bridge woes are bad news for PCs, but good news for tablets. This Intel glitch could be a catalyst that drives more mainstream adoption of tablets as a mobile computing alternative to traditional notebooks.